For decades, NTTS has trained and placed thousands of people into professional driving careers. Our students come from all walks of life; different educational backgrounds, nationalities, races, religious beliefs, and social-economic groups. Realizing no two people progress at the same rate of speed, we have developed and utilized our highly successful approach to learning of theory, demonstration and practical application to train you for a new career. 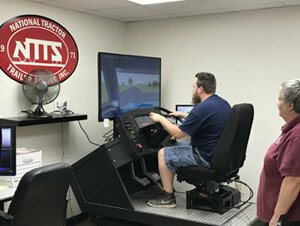 Today, National Tractor Trailer School (NTTS) offers several different courses on a full-time or part-time basis to accommodate most students’ schedules.